We are pleased to inform you that the Clearing House project continues offering its services to Belarusian organisations. For the period of 19.09.2013 till 18.03.2014 we planned and started implementing the following activities. Four information days in Minsk and regions of Belarus, 400 hours of consultations for the civil society organisations delivered by the team of project consultants that will help to better understand the goals of the European Union programmes, to develop or strengthen existing skills in project preparation, project management, monitoring and evaluation of the project results, as well as preparation of the reports for the implemented projects. To date, our team has gained positive experience in organising information days. At such meetings Belarusian CSOs receive information about European opportunities, calls for proposals and the possible prospects for partnerships with organisations from the European Union and the Eastern Partnership countries. Information days have proved to be very effective in attracting and motivating new organisations to participate in the European Commission’s calls for proposals. In the current project phase, apart from for informative component, activities will also promote the best European practices and convergence with international standards in the project development and implementation. We hope that the counseling component will extend and upgrade the toolkit of civil society organisations. As a result, the quality of prepared projects should increase, while they will be based on the understanding and integration of European values in projects (gender equality, sustainable regional development, environmental care, and others). We would like to remind you that for the duration of the Clearing House project consultations to the CSOs are provided free of charge! To increase the capacity of the regional civil society organisations in the development and preparation of project proposals, it is envisaged to hold six regional workshops with local experts in the areas of gender equality, sustainable development, social inclusion and other to enhance the exchange of intersectoral expertise and share the knowledge to deepen the understanding of value components and give examples of how this knowledge can be used in the development and implementation of project activities. Broader access and active participation of regional CSOs in the European Commission’s programmes could create conditions that would contribute to more intensive development of regional structures. In the past, numerous regional CSOs refused to participate in the training sessions naming the complexity of the EU instrument as the reason behind their withdrawal. 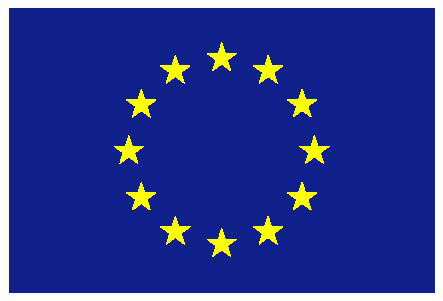 Through its workshops, the Clearing House will strive to make EU tools available to regional organisations. Clearing House consultants will also take part in these activities, informing organisations about available support mechanisms for implementation of their projects. 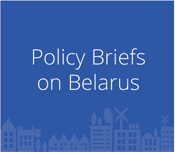 At this stage the project is implemented by the Office for a Democratic Belarus (Brussels, Belgium) in partnership with the Office for European expertise and communications (Minsk, Belarus) with the support of the European Commission. The “Clearing House” initiative is a part of the “Belarus-EU Task Force” project coordinated by the Office for a Democratic Belarus in cooperation with the international consortium EUROBELARUS, Forum Syd (Sweden) and PACT Inc. and supported by the European Commission. The overall objective of the project is to build the organisational capacity of Belarusian civil society organizations and enhance their cooperation, while improving coordination among Belarusian civil society organizations and the European Union, European donors and international implementers. The project foresees a number of working meetings of the following thematic areas: education, culture, media, think-tanks, human rights, youth, gender, social issues, energy, ecology, regional and local development, and SME. 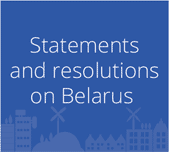 Regular meetings resulted in the creation of the Advisory Board, which is able to accumulate the views and express the interests of Belarusian organisations working in the mentioned sectors, which in turn helps to fine-tune EU policies and programme priorities in relation to Belarusian CSOs. Within the project a series of six trainings has been conducted in the regions of Belarus. 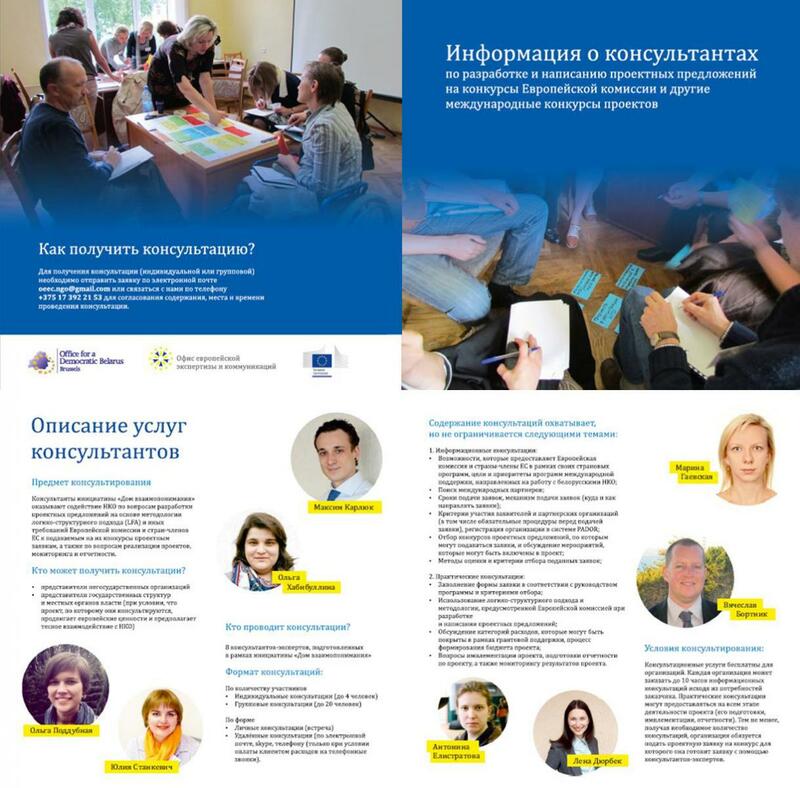 During these sessions, representatives of civil society organisations were informed about the possibilities for support that the EU offers to Belarus and acquired knowledge on how to prepare project proposals. In the second year of project implementation additional information meetings and presentations will be organised on various calls for proposals open for Belarusian CSOs, search for partners, and main principles of project design. In the framework of the project nine consultants, capable of assisting Belarusian organisations in preparing project proposals for the European Commission and EU member states, have been trained by the ODB and its partners. The consultants are now providing expert support for Belarusian civil society organisations. Consultations to the Belarusian civil society organisations for the period of implementation of the Clearing House Project (until July 2013) are provided by the project consultants free of charge. The implementers of the “Clearing House” project believe that the actions undertaken in the frames of the project resulted in the increased quality of the submitted project proposals, and ultimately secured more successful donor programming that reflects the real needs of Belarusian society and the implementation of projects.